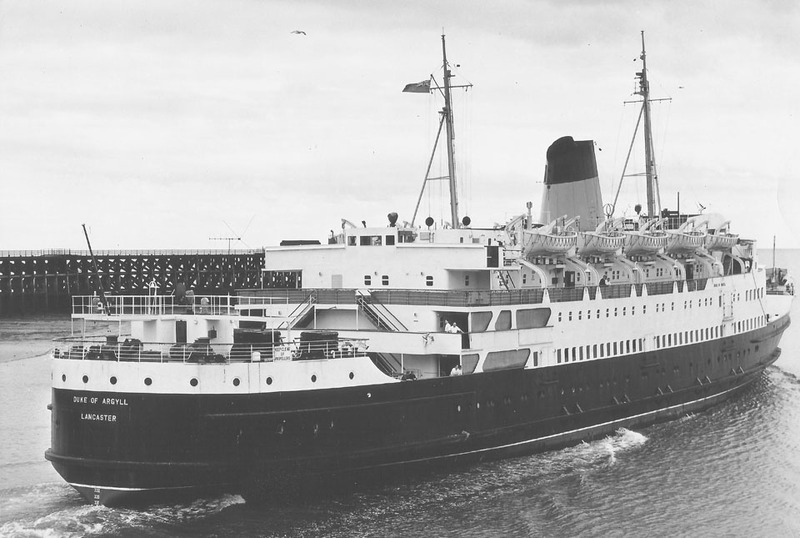 Steel twin screw turbine vessel built by Harland and Wolff in 1956 (Yard No 1541) for The British Transport Commission originally as a passenger and cargo vessel. January 12th 1956: Launched. 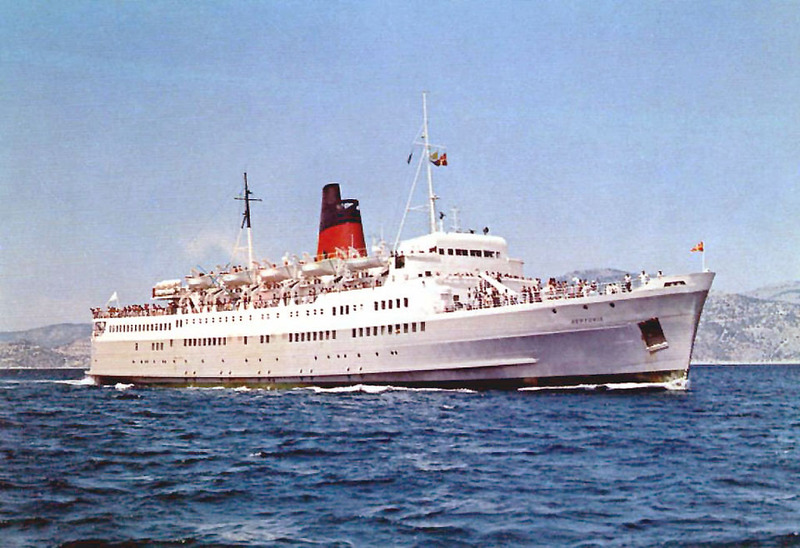 The first of three Dukes, the others being DUKE OF LANCASTER and the DUKE OF ROTHESAY. September 1956: Delivered to British Transport Commission, London Midland Region, England. 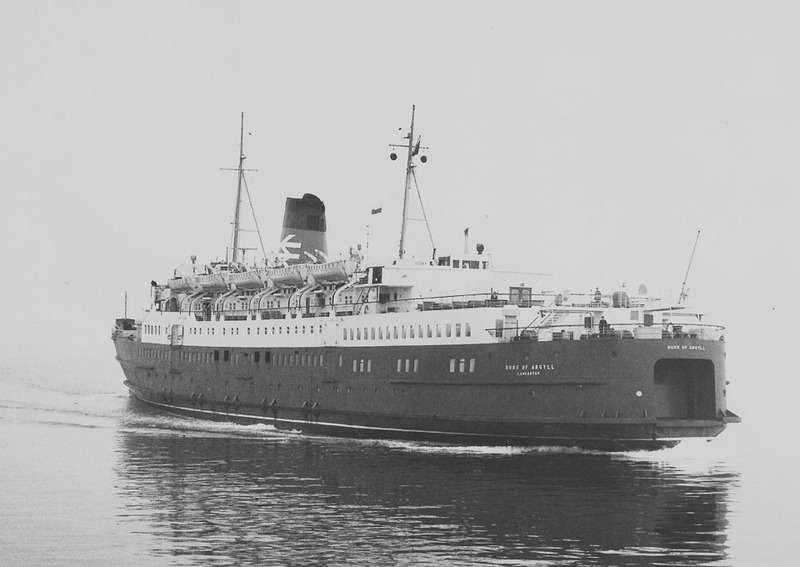 September 1956: Commenced service between Heysham – Belfast as a passenger ferry. 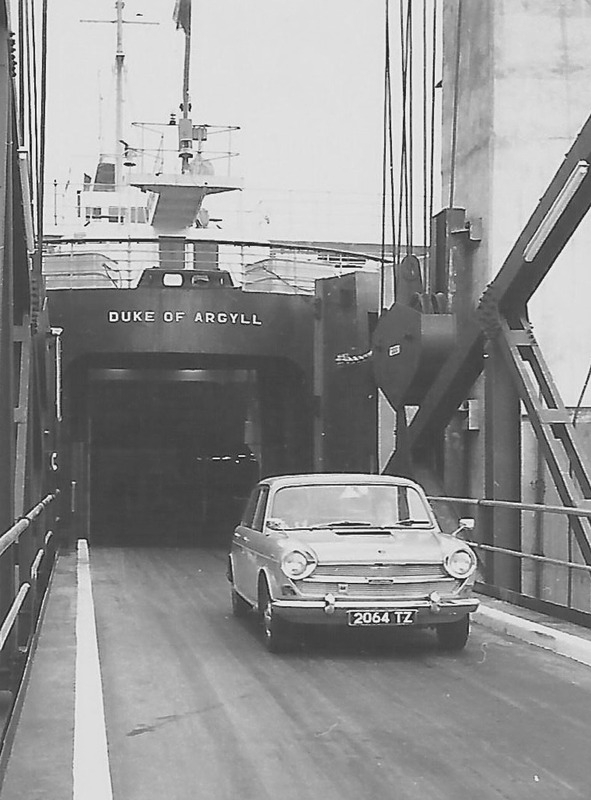 1970: Converted to a car ferry by Harland and Wolff, with a vehicle deck of only 6ft 6in height, loading from the stern. 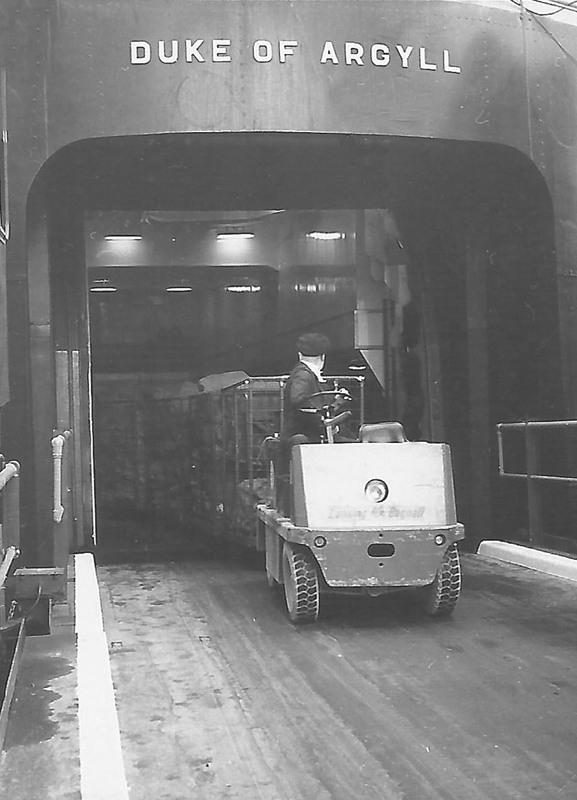 January 28th 1970: Re-delivered after rebuild. 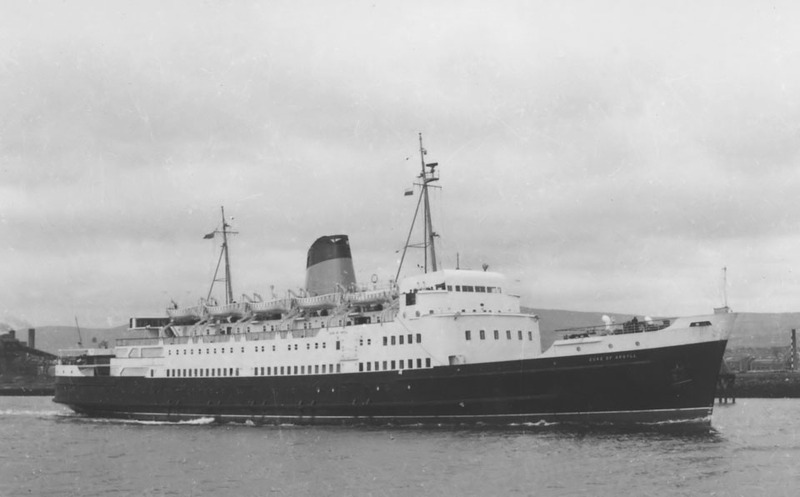 February 24th 1970: Resumed service between Heysham – Belfast. 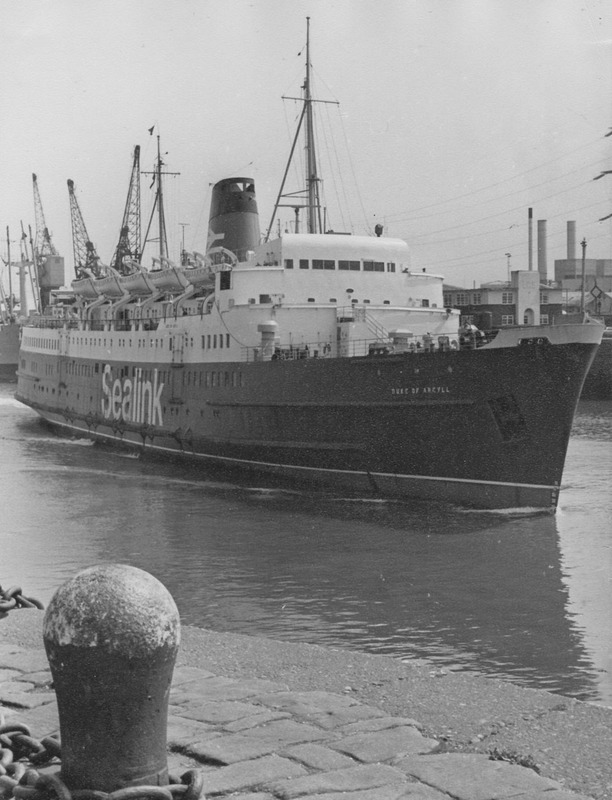 1973: Sealink trading name painted on hulls. 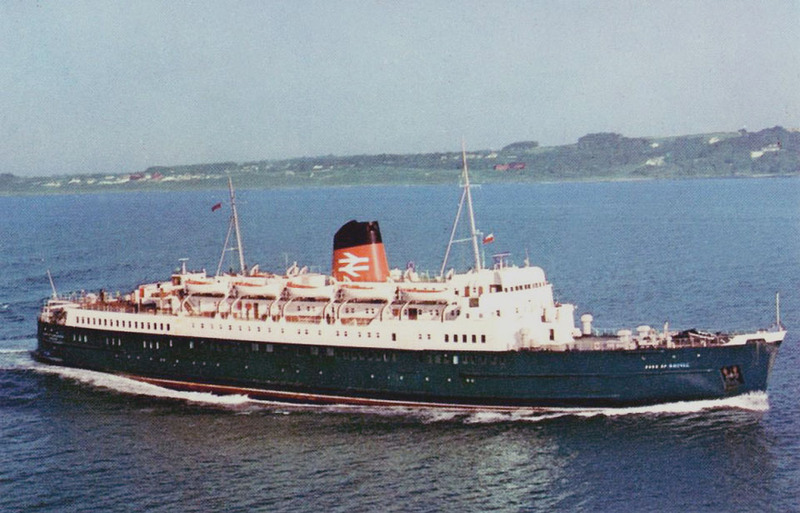 April 5th 1975: The Heysham-Belfast route was closed with the Duke of Argyll running the final sailing to Belfast. 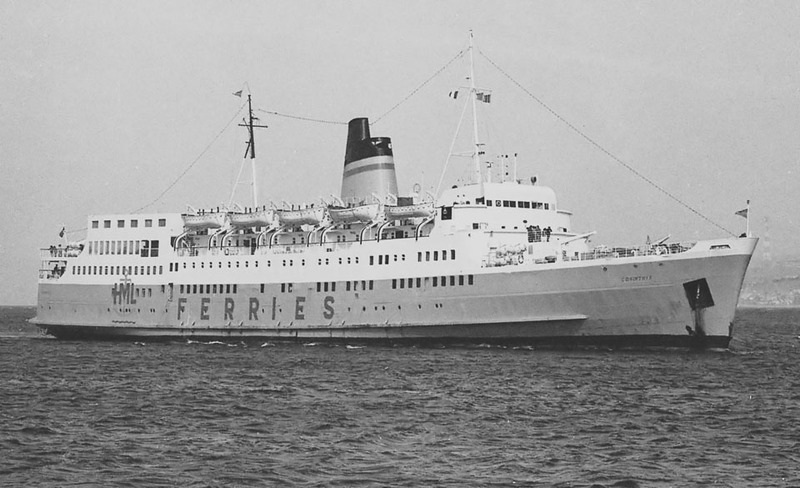 April 6th 1975: Became surplus on the Heysham – Belfast service. 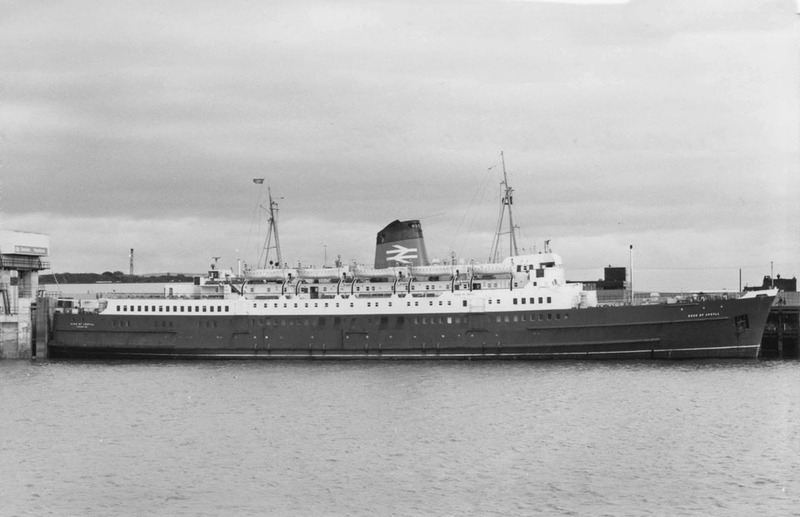 1975: Acted as reserve vessel for Holyhead – Dun Laoghaire route. 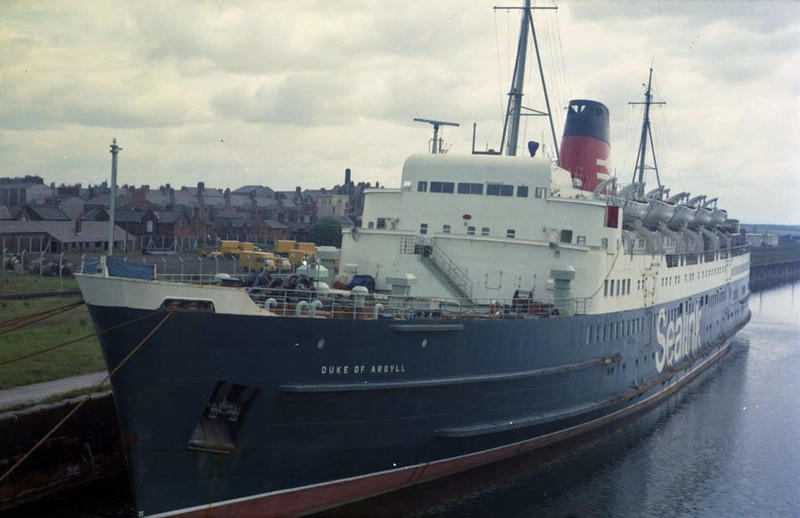 September 1975: Laid up in Barrow. October 13th 1975: Sold to A.G. Yannoulatos (Registerad för Cynthia Nav. Ltd., Limassol, Cyprus). Renamed NEPTUNIA. 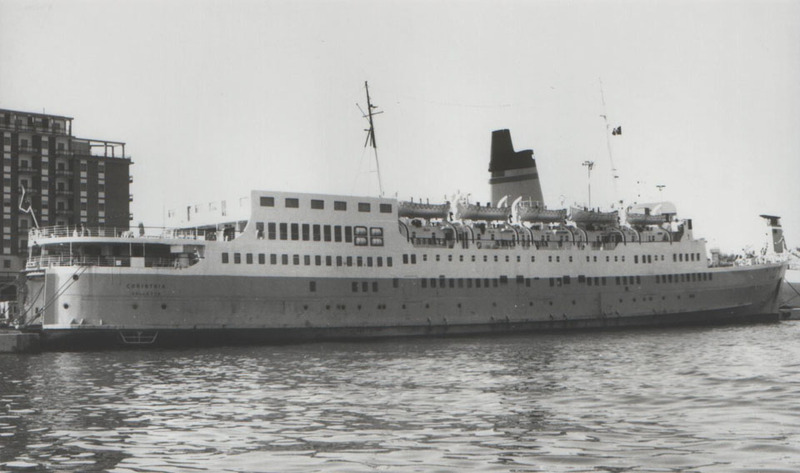 October 19th 1975: Left Barrow for Piraeus. 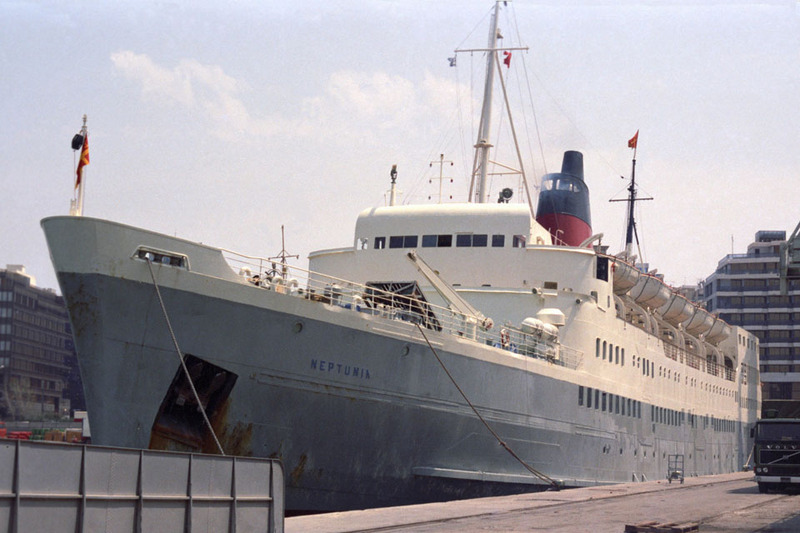 October 31st 1975: Arrived at Piraeus. 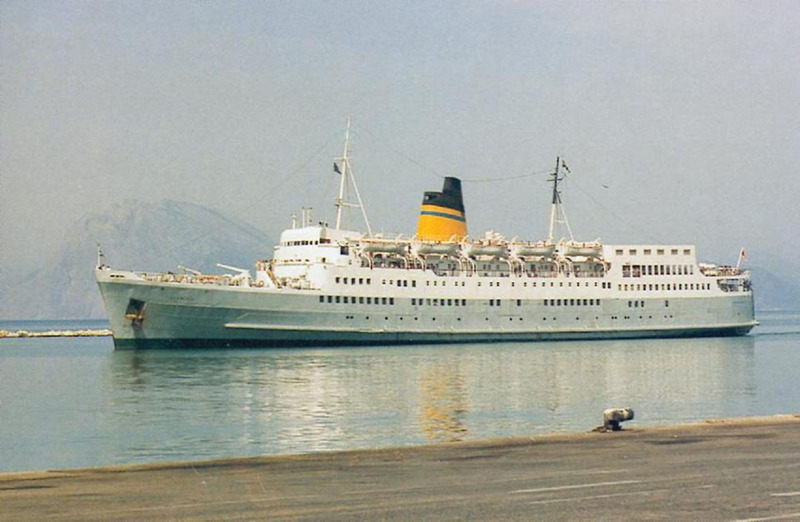 June 1976: Commenced service for Libra Maritime between Brindisi – Patras – Korint Kanalen – Piraeus. 1978 – 1979: Registered Owner; Cynthia Navigation Co. Ltd. Registered Manager; Cia. 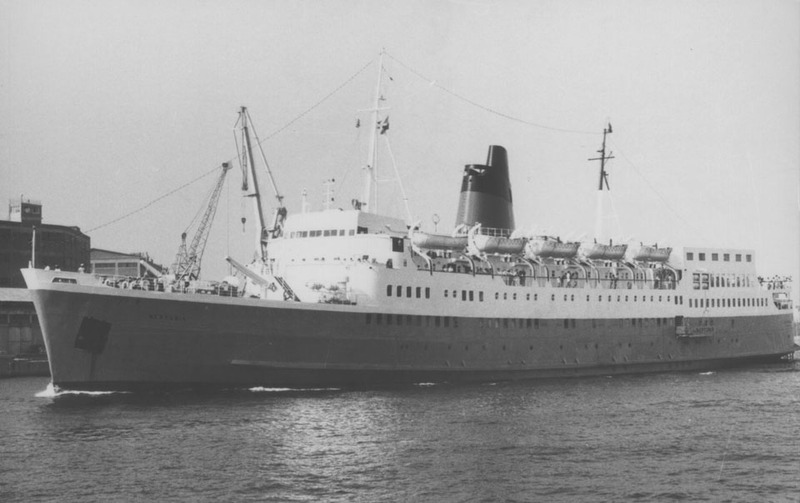 Armadora de Sudamercia S.A.
1979: Commenced service between Ancona – Piraeus – Limassol – Haifa. October 15th 1982 – 1983: Laid up in Chalkis. 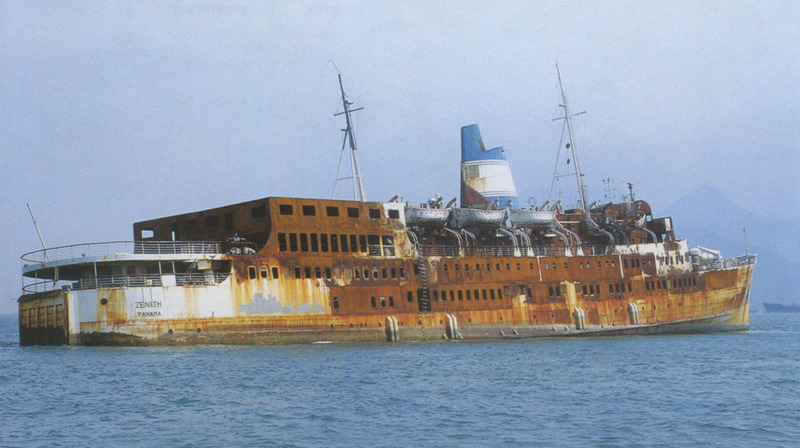 1984: Used as a school-ship. 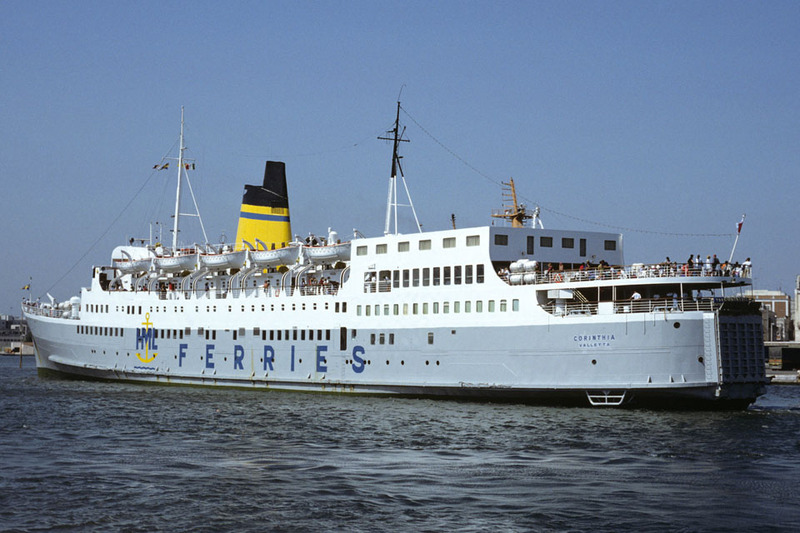 1986: Commenced service between Brindisi – Piraeus – Izmir. 1987: Sold to Scanmed Shipping Co, Valletta, Malta. 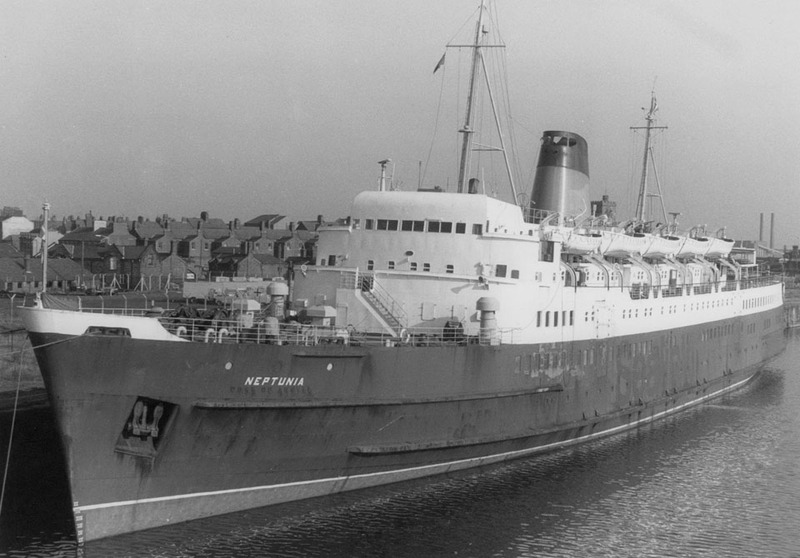 Renamed CORINTHIA. 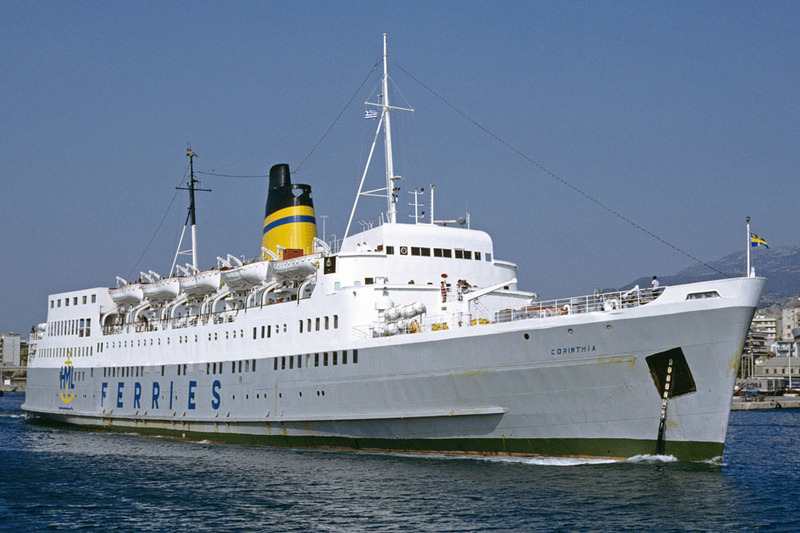 1988: Commenced service for Hellenic Mediterrean Lines, Valletta, Malta. 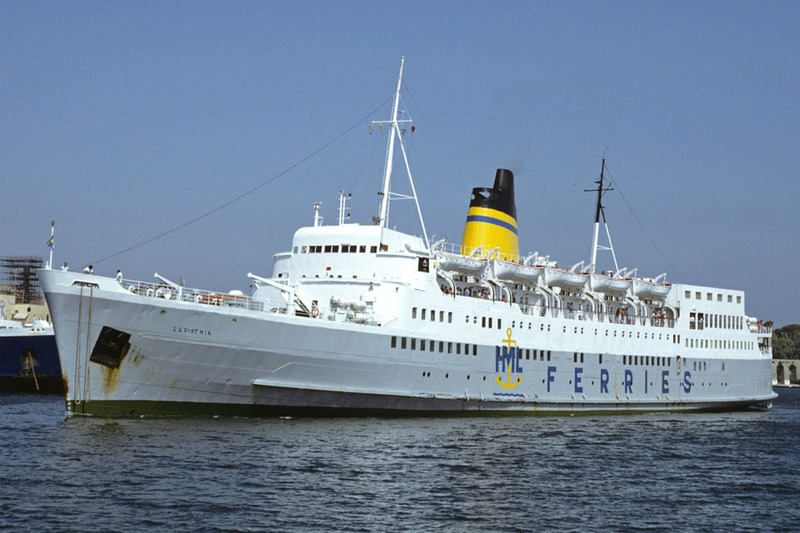 1992: Operated between Patras – Messina. 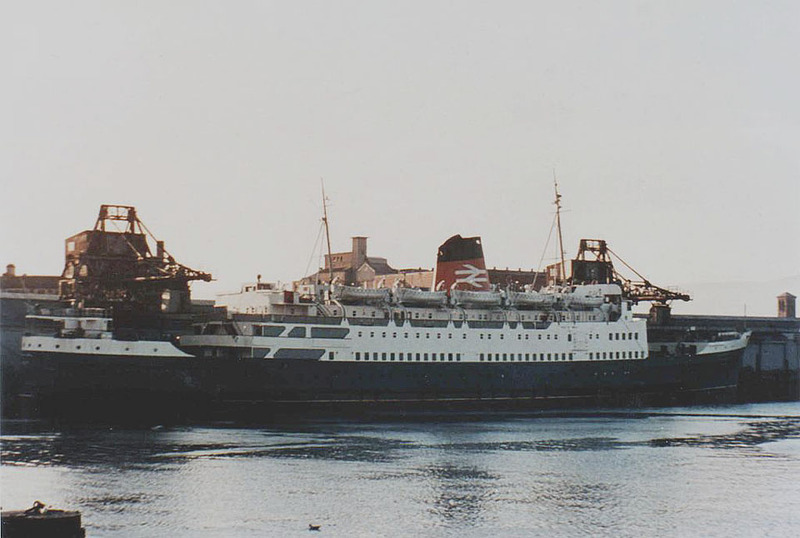 1994: Sold to Power Sea Transportation S.A., Panama. 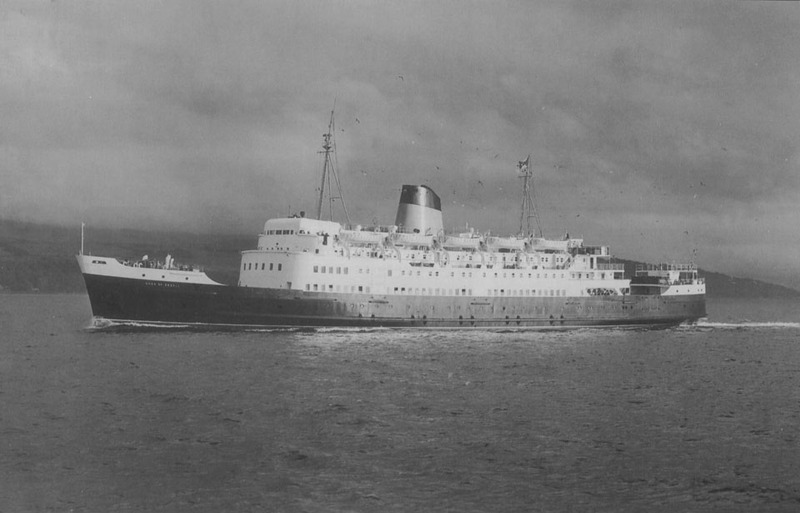 Renamed FAITH POWER. 1995: Renamed FAIRY PRINCESS, registered in San Lorenzo, Honduras. July 20th 1995: Arrived Hong Kong for rebuilding. Renamed ZENITH. 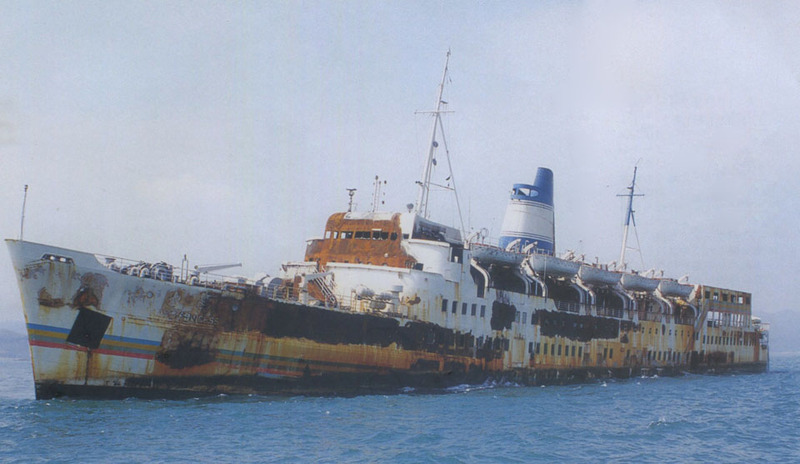 1995: Suffered an engine-room fire. 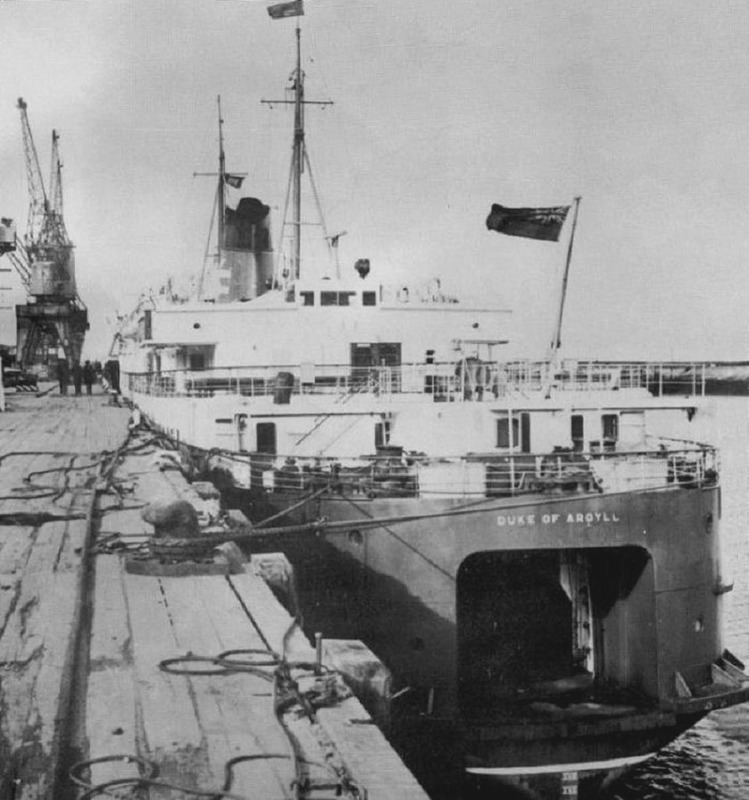 The fire was extinguished and she was run aground. 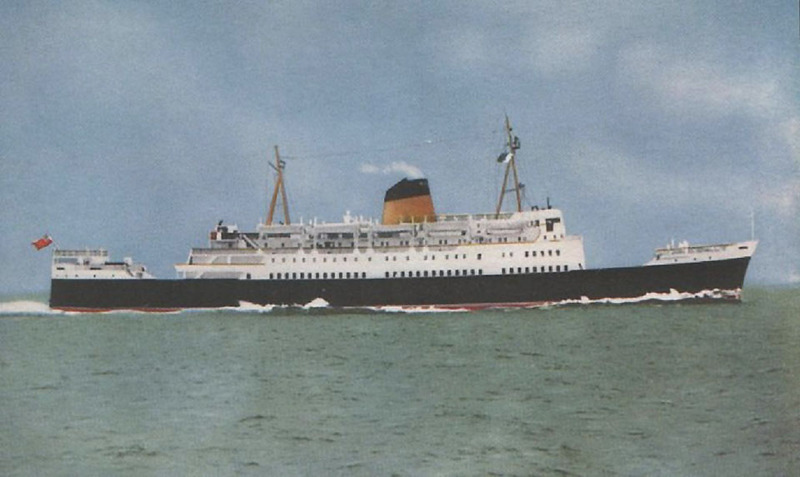 Later re-floated and sold for scrap. 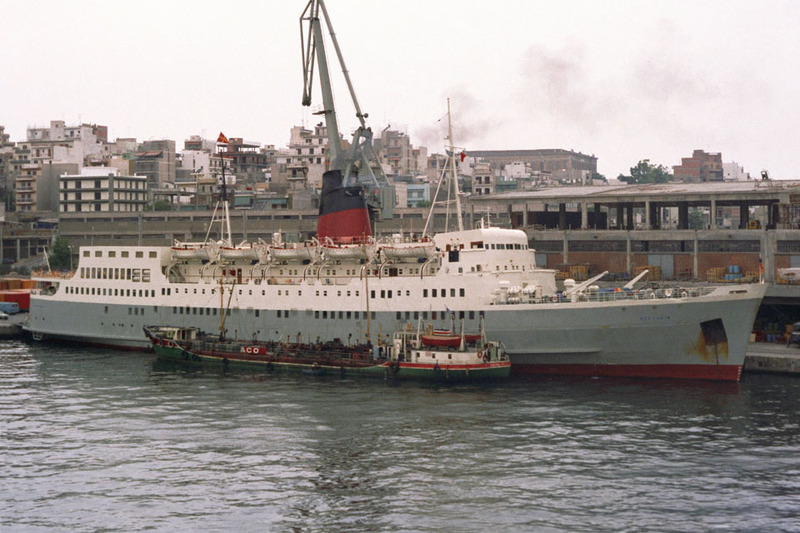 March 1996: Arrived Zhongshan for scrapping. All information is believed to be correct and no responsibility is accepted for any errors or omissions found. All items included in this article are subject to © copyright. We would like to take this opportunity of thanking: Jim Ashby, Terry Conybeare, Malcolm Cranfield, Frank Heine, Chris Howell, Derek Longly, William MacDonald and the National Railway Museum/Science & Society Picture Library for their assistance in compiling this feature.